The controversy over the safety of glyphosate — paired with herbicide tolerant GMO crops — has spurred debate over the value of no-till and low-till farming. The practices have been made easier with the introduction of Ht crops, but some critics say they may not provide the array of ecological benefits that many supporters contend. Do herbicide tolerant GM crops encourage more ecologically sound agricultural practices? 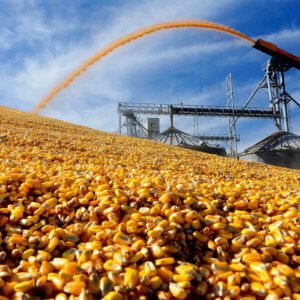 Are such claims no more than Big Ag industry PR, as GMO critics argue? Ever since farmers settled the vast American countryside, neatly plowed lines through the soil have been a common sight in farm country. The lines were the result of fossil fuel eating farm machines clearing out choking weeds. Herbicide tolerant crops paired with glyphosate have altered some of those practices. 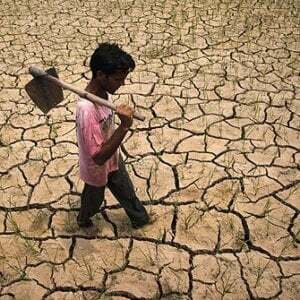 One of the main benefits, say scientists and farming experts, is that the Ht crops have led to a sharp drop in the need to till fields to reduce weed growth—an age old practice. The practice called low or no till farming preserves topsoil and prevents soil erosion and water runoff. It also releases less nitrous oxide, a potent greenhouse gas contributing to global warming. Tilling is the practice of turning the soil over with a plow. Generally, plowing can be done in the spring before planting and helps to uproot any weeds in the field and push their seeds too deep into the soil for them to be able to germinate. Unfortunately, it causes soil erosion and water runoff while allowing greenhouse gases to escape. It also uses more fuel since tilling requires another pass through the field with a tractor. Degraded soil, in turn, needs more fertilizer, which runs off into river systems. Conservation tillage is the practice of reducing tillage in combination with planting cover crops on at least 30 percent of land to help the soil recover lost nitrogen and replace the practice of using nitrogen fertilizer. No till is one popular type of conservation tillage in which soil is left mostly undisturbed from harvest to planting. Tilling also requires the use of carbon belching combine harvesters. 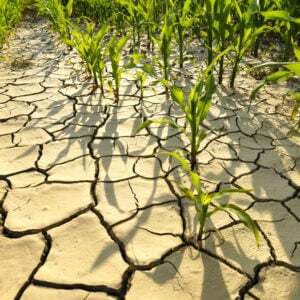 The use of herbicide tolerant GMO crops has cut down on all a range of ecological threats. A feature in the New York Times told the story of Texas farmer Gabe Brown who has become an evangelist for the no-till practices that the use of GMO crops has made possible. Brown told the Times that he no longer needs to use nitrogen fertilizer or fungicide, and he produces yields that are above the county average with less labor and lower costs. “Nature can heal if we give her the chance,” Brown he said. “It’s a massive paradigm shift,” said Ray Archuleta, an agronomist at the Natural Resources Conservation Service, part of the federal Agriculture Department, which endorses the soil-conservation approach. 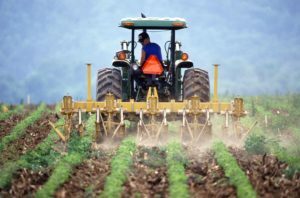 According to government surveys, the use of no-tillage farming has grown sharply over the last decade, accounting for about 35 percent of cropland in the United States. For corn and soybean—where the use of GMO seeds now tops 90%—no-tillage has nearly doubled. Glyphosate, developed by Monsanto and in use since the 1970s, has been widely used in conventional farming and even in home gardens because of relatively benign toxicity profile. It is far safer than the products it displaced and safer than new ones developed since. Biotechnology advocates note that the growth of no and conservation tillage has correlated with the rise of the Roundup Ready crops, which paired the GMO seeds with glyphosate, first commercialized by Monsanto in 1996. Monsanto and its competitors have advertised herbicide-tolerant transgenic plants as a solution to this problem. Plows can be replaced by chemicals to deal with the weeds. “The introduction of genetically modified (GM) crops in the last decade made no-till farming possible,” Monsanto says in its blog, a chest thumping statement that is, for the most part, accurate. In 2013, 93 percent of soybeans, 82 percent of cotton and 85 percent of corn contained the Ht trait. Herbicide-tolerant crops can be sprayed with herbicide to deal with weeds rather than be tilled. Yields have grown steadily in the US since the introduction of Ht crops, and the the toxic levels of chemicals sprayed per acre and output has declined. Purdue University’s Conservation Technology Information Center (CTIC) drew the connection between no till and the introduction of herbicide-resistant crops, suggesting that those who were already practicing a form of reduced tillage were able to shift to no tilling altogether. There is some synergy there: Herbicides can help control weeds no longer tilled in a no-till system, giving farmers an alternative. CTIC’s surveys suggested that conservation tillage, which is a broad category of reduced tillage, was at about 36 percent of cropland back in 2002, while no till specifically rose between 1996-2002 and represented about 19.6 percent of all cropland by 2002. 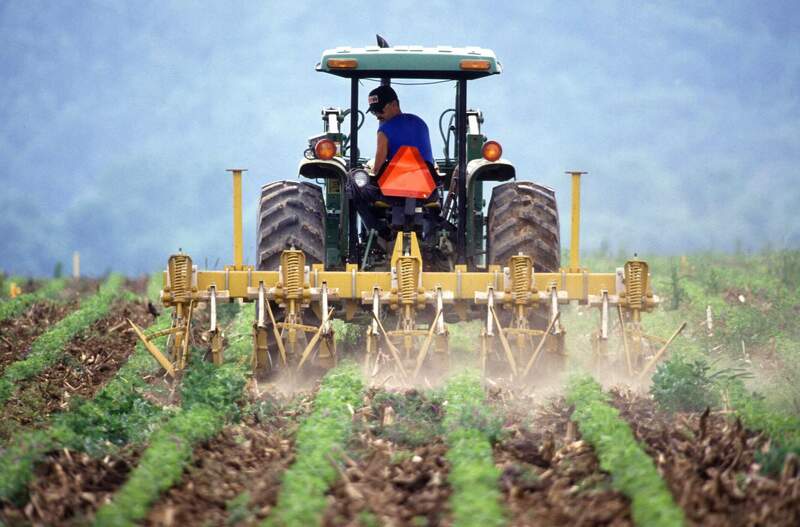 A USDA survey estimated that by 2009, 35.5 percent of cropland in the U.S. was no-till. Farmers burn a lot less diesel when they aren’t plowing, and the residue provides habitat for wildlife. Finally, instead of dirt forming into big clots of compacted soil, farmers who minimize tillage find that their dirt is looser, aerated by billion of tiny passageways: When the tractors stop plowing, the earthworms and microbes start plowing. The tradeoff, of course, is that most of these farmers also use herbicide. But then, conventional farmers tend to use herbicide anyway. How dramatic are the benefits? It’s hard to tell. Johnson was skeptical about the numbers. He felt there is a lack of good data being collected. Everything he could find since 2004 was based on estimates, projections or anecdotes, he wrote. Not only can you have conservation tillage, especially no-till, without GE crops… the large majority of adoption of no-till occurred before GE crops came on the market (before 1996)… Roundup ready has made it easier, but so have no-till seed drills, and Farm Bill incentives that went into effect in 1986. If you actually look at the additional adoption of no-till after 1996, it is only a few percent in corn, almost nothing in cotton, and a little more in soy (maybe 5 to 10 percent of acres). So contrary to the widespread myth, the data do not support a major role of GE crops in the increase in no-till over the past few decades. Other anti-GMO activists are adamant that there is no connection with herbicide-resistant crops and some say even that conservation tillage is declining. “I’ve looked really closely at the whole no-till thing, and that’s just a fallacy,” said Bill Freese of the Center for Food Safety. Both Freese and Craig Cox of the Environmental Working Group said that from what they’ve heard anecdotally conservation tillage is actually declining. Some farmers have become concerned about one of the known consequences of relying on one specific weedkiller, such as glyphosate: weeds can become resistant over time, in part counterbalancing some of the ecological benefits of no tilling. Jimmy Wayne Kinder, an early adopter of no till from Chattanooga, Oklahoma, told Ag Journal that the weed issue will force producers into hard choices over whether to till or not to till, with two distinctive paths in front of them. In his case, he says, he’s already past that fork in the road. Many anti-GMO groups balk at the use of herbicide-tolerant crops, which they fear increases the use of chemicals, leading to weeds becoming resistant to herbicide. A paper by Graham Brookes in the journal GMO Crops and Food showed that herbicide-tolerant crops have not been found to increase herbicide use any more than is used in conventional agriculture. However, the glyphosate-tolerant trait caused an overreliance on one chemical, said Charles Benbrook, a research professor at Washington State University and a well known organics promoter The danger in this isn’t glyphosate—“it’s one of the safest [herbicides] on the market,” he said. It’s that weeds have grown resistant to glyphosate. 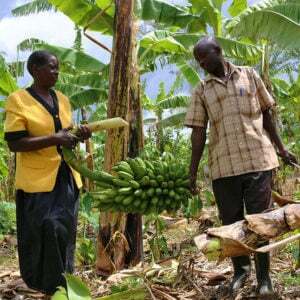 This has led to growing awareness among farmers that they must take diversified approaches to weed management, which is consistent with the advice of scientists. As a result, farmers have increased the use of other herbicides on both GMO and conventional crops, noted the Brookes paper. 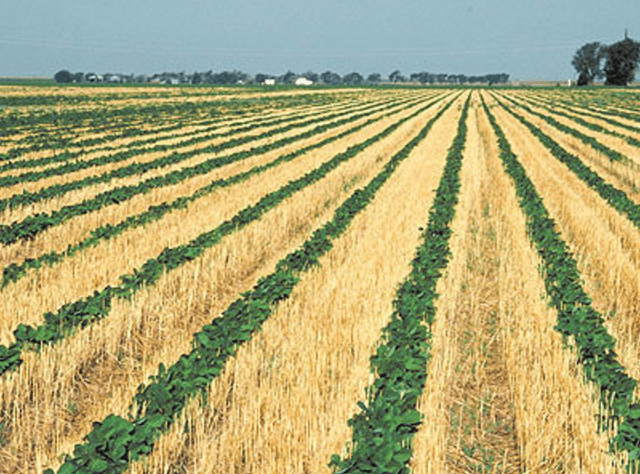 Roger Gribble, an agronomist the Oklahoma extension service, said farmers shouldn’t be dogmatic about whether to till or not to till. So, while herbicide-resistant crops can facilitate the use of no-till farming, its advocates are aware of the need to also train farmers on integrated weed management strategies. If farmers want to use this technology they need to protect it. It’s not Monsanto’s problem to protect the technology, its the farmers’ job. Everyone wants to point at the biotech as the issue. It’s like the guns: it’s not the guns; it’s the idiots with the guns. It’s the way we use them that matters. Beck advocates weed management that can include glyphosate or other chemicals but rejects thinking that views herbicide as a golden key. If its not applied correctly at the appropriate time it can create weed resistance. Herbicides are certainly one tool, but in farming there are always trade-offs, said soil scientist Garrison Sposito, an emeritus professor in Ecosystems Science at the University of California-Berkeley. “You never solve problems by making changes. What you do by making changes is exchange one set of problems for another set of problems,” he said. So while the compatibility of no-till or reduced tillage with planting herbicide-resistant GMOs gives farmers another option for care of their crops, ultimately, the promise of the no-till movement rests on good stewardship.